There’s nothing we love more than being surrounded by amazing videos. 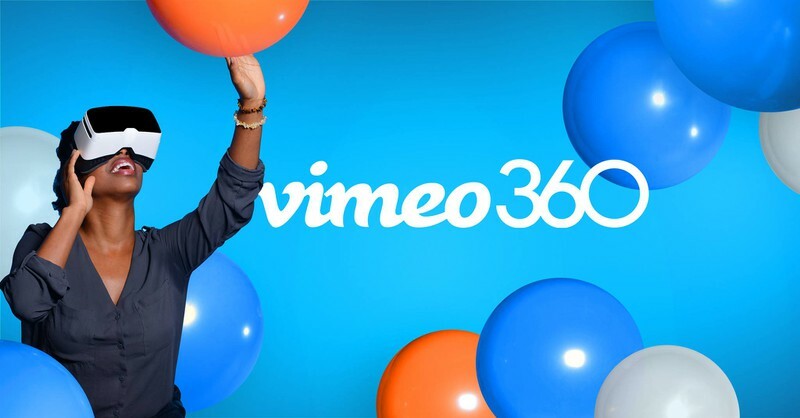 And now, we mean it literally: we’re insanely thrilled to announce that Vimeo 360 is here. Now you can upload 360 videos in stunning high quality, dig into 360 Video School lessons, find inspiration on our curated 360 channel, and oh so much more. We want all creators to feel empowered, start experimenting with new 360 techniques, and begin sharing insights. The more we can delve into your wondrous videos, the more we can all find inspiration, and usher in the new standard for incredible storytelling. Unmatched quality: Upload in up to 8K, stream in high quality, and host, manage, and publish your 360 videos — all in one place. Customizable settings: You deserve control over your videos. So go on and customize your field of view, outro, and more. 360 Video School: Whether you’re a 360 pro or newcomer, we’re continuously adding lessons to further your journey. Sell your videos: Earn more on the first major marketplace for selling 360 videos, all with your PRO or Business membership. Powerful integrations: Upload directly from places like Adobe Premiere Pro and Sony Vegas, and watch from our app with Zeiss, GearVR, and Daydream headsets. Find inspiration: Discover today’s best 360 filmmakers by following our brand-new curated channel. Watch offline: Are you underground or up in the air? Download a 360 video on your phone to stream offline and enjoy at your command. Start uploading your video as normal, then simply tick the “This video was recorded in 360” box at the bottom of the page. Easy peasy! After ticking the box, a dropdown with monoscopic or stereoscopic (top/bottom layout) will appear (if these terms are new, pop over to our 360 glossary). This part is all about your source file, not how your viewers will enjoy your video — we’ll optimize that based on their setup, headset sitch, etc. If you’ve used a metadata injector tool, our robots will pick that up, auto-check the settings that apply, or lead you to our Help Center if we detect ways to make the viewing experience even better. No 360 metadata? No problemo. We’ll default to the most common 360 settings. Once your upload is complete, head to the Embed tab on your video settings. There, you’ll see two brand-new, pre-ticked boxes: the 360 badge and compass. We’ve also got more controls in your Video file tab. Below the “Source type” section, tap “Advanced 360 settings,” and you’ll be whisked away to a stunning new page of video options. Here, you can customize viewing experiences for the web (and some places on mobile, too). Choose the boundaries of your frame in field of view, and set your default orientation by selecting the exact coordinates of your pitch and yaw. This determines what “forward” means for your video, and it’s where the compass will reorient viewers if they tap on it. On mobile, simply tilt or drag your finger across the screen to look around. On desktop, you can click or use the arrow keys to explore. Extra cool new thing: you can also easily watch 360 videos offline from your phone. Simply tap the ellipse next a video on mobile, followed by “Make available for offline viewing.” Cruise over to your Library, tap “Offline,” and you’ll see your video ready for streaming — wi-fi or not. What if you’ve got a headset? We think that’s awesome, and we want you to use it. Our Android and iOS apps sync up with most headsets: all you’ve got to do is tap the headset icon in the mobile player, or scan your headset’s QR code, and we’ll make sure the video renders properly for your gear. And that’s your cue: start uploading, and let us know what you’re loving or what you’d like to see more of. Got specific Qs? Visit our 360 Help Center, or add a comment below.